In his early teens, Kuhn studied with legendary teacher Margaret Chaloff who schooled him in the “Russian Technique”, an invaluable tool for tone production and projection. Chaloff’s son, Serge, baritone saxophonist for Woody Herman, hired the 13 year-old pianist to play in his group. Throughout his teens Kuhn continued to play in Boston jazz clubs with visiting celebrities such as Coleman Hawkins, Chet Baker and Vic Dickenson. After graduation from Harvard College, Kuhn attended the Lenox School of Music where he met and played in a group with fellow-students Ornette Coleman and Don Cherry. The faculty included Bill Evans, George Russell, and Gunther Schuller. While at Lenox, Kuhn met trumpeter Kenny Dorham and began a two-year stint, interrupted when Kuhn was asked to join John Coltrane’s newly-formed quartet. Kuhn next joined Stan Getz’s band, which included bassist Scott LaFaro. 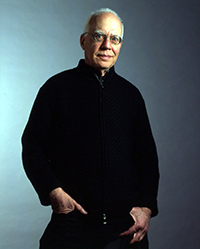 After a year with Art Farmer, he formed the first Steve Kuhn Trio, with drummer Pete LaRoca and bassist Steve Swallow. At the end of the 1960’s he spent four years living in Europe, where his performances had a significant impact upon local players. Upon returning to the United States, Kuhn began his long-term affiliation with ECM, resulting in a string of important albums including Trance, Ecstasy, Non-Fiction and the collaborations with Sheila Jordan; Playground and Last Year’s Waltz. In the mid-80’s, Kuhn co-founded the popular ‘All Star Trio’, with bassist Ron Carter and drummer Al Foster, and launched a new, and still evolving, edition of his trio with bassist David Finck. Drummers for the latter have included Joey Baron (as on the ECM recording Remembering Tomorrow), Lewis Nash, Billy Drummond, Kenny Washington and Bill Stewart. In the 90’s up to the present time, he has recorded many CDs for Venus, Reservoir and Sunnyside. In 2004, Kuhn recorded Promises Kept, which includes a string orchestra, for ECM Records, of which he is most proud. Kuhn continues to tour widely throughout the world, with a strong following in Europe and especially Japan where his CDs frequently appear on the jazz charts.